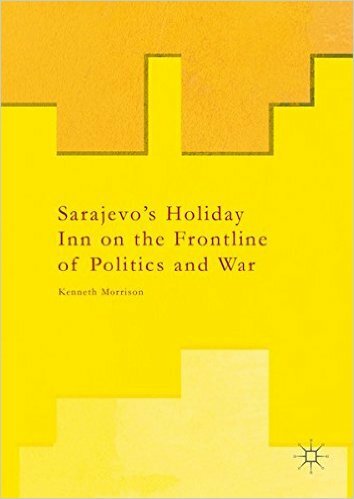 A review of Sarajevo’s Holiday Inn on the Frontline of Politics and War by Kenneth Morrison, Palgrave Macmillan, 2016. It is quite without precedent for a hotel to be the subject of a book-length academic study. But then, the Holiday Inn in Sarajevo was no ordinary hotel. For the three and a half years of the Bosnian War it was the most blitzed and best known hotel in the world. It stood 200 metres from an active front line and those of us who stayed there had sometimes to run the gauntlet of sniper fire to get into it or out of it. Its south side was repeatedly shelled by the Serbs and the rooms there were wrecked. War reporters are birds of a feather who flock together. We will seek out a hotel – not necessarily the best in town – and settle there. 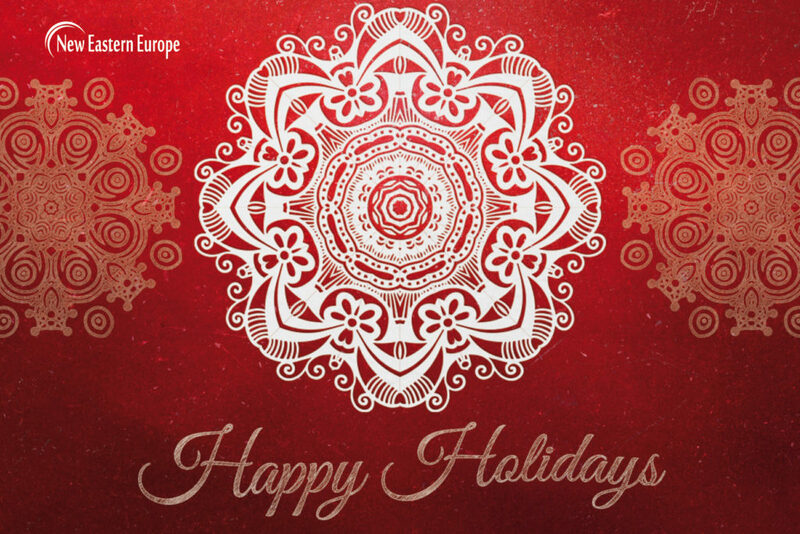 Between 1992 and 1995 the Holiday Inn came to rank alongside the Continental Palace in Saigon, the Commodore in Beirut and the Europa in Belfast as our indispensable gathering place. In its great gloomy atrium (for much of the time there was no electricity) we traded news and rumour, enjoyed such comforts as there were and generally kept an eye on each other. The rooms without a view were the ones most in demand. When the war began it was actually the headquarters of Radovan Karadzic the Bosnian Serb leader and his entourage. It then became a target. It held such a special place in our affections that I even wrote an ode to it. It was our refuge and it served us well. And rather short on health and safety too. More like Ground Zero than a place of rest. And we who stayed there were uniquely blessed. And now the Holiday Inn – renamed the Hotel Holiday – has a book to tell the story of its remarkable history. For this we have to thank Professor Kenneth Morrison of De Montfort University in Leicester. The book, entitled Sarajevo’s Holiday Inn on the Front Line of Politics and War, deals not only with the Holiday Inn, but to other war zone hotels which kept their doors open in the most extreme of circumstances. It sets out the context of such places as strategic assets, high value targets, political symbols and sanctuaries, before tracing the origin of the Holiday Inn as one of the showpieces for Sarajevo’s Winter Olympics in 1984. The work of the Yugoslav architect Ivan Straus, it was of such unusual and experimental design, as if assembled from yellow Lego, that the builders could hardly believe what they were building even as they were building it. Morrison’s account is both well-researched and fascinating. 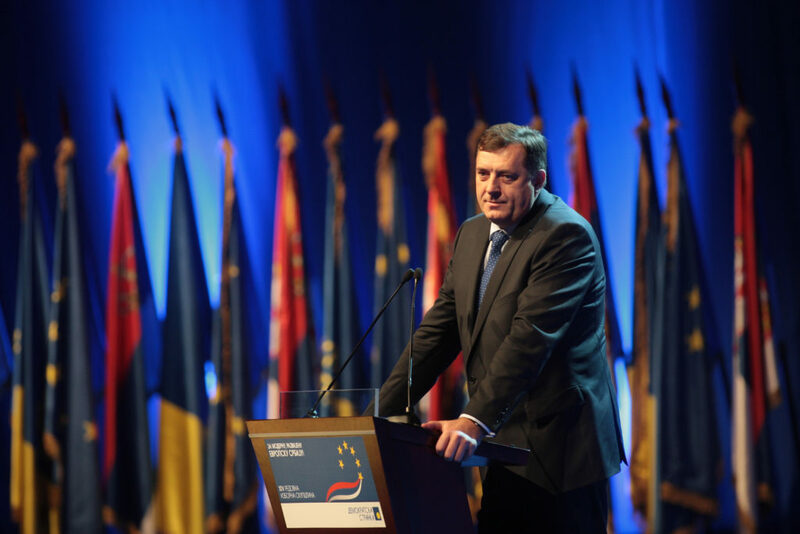 It goes into the politics of the hotel, first as a the ‘crisis headquarters’ of the Bosnian Serb Democratic Party (SDS), then as a symbol of Sarajevo’s resistance, a refuge for the foreign press and even a meeting place for politicians. The Parliament buildings opposite, where the war had begun, were by this time ruined by shell fire. But only when I read Morrison’s book did I begin to understand its strange design, with what seemed to be a great awning hanging over it. This was because when the hotel was built it was on the edge of the Old City, on open ground where the travelling circuses would pitch their tents. So the press circus too came to town in 1992. We did not need to go out to the war, because the war came in to us. Sebastian Rich the ITN cameraman was badly injured by a shard of glass when he stood too near to the entrance; his injury was treated with vodka, the only disinfectant available. Least of all, because of the extreme dangers, did we venture out at night. Reluctantly or not – and there were two schools of thought – we tended to spend the evening hours in the bar. We took its weirdness for granted. The hotel was damaged during battles in April and May 1992, but opened its shattered doors to us shortly afterwards. Morrison pays proper tribute to the staff who kept the operation going against the odds, explaining how staff developed their own survival strategies. The illustrations include a remarkable photograph of nine of the waiters, immaculately turned out in smart jackets, pressed shirts and bow ties, presiding over the New Year’s Eve dinner at the worst of times in 1992. The author quotes the journalist John Sweeney: “The juxtaposition between being served beautifully while the vibrations from the bombs outside made the cutlery and crockery rattle on the tables was striking – the waiters continuing as if it was quite normal, demonstrating real grace under pressure.” The food was obtained on the black market with the journalists’ hard currency. The war zone currency was deutschmarks, the war zone cigarettes were Marlborough, and the war zone whisky was Ballantines. The management sometimes required payment in advance, on the reasonable grounds that they had no way of knowing whether their guests would survive until check-out time. Then there was the question of whether the Holiday Inn was deliberately targeted, which we discussed at the time among ourselves, and to which Morrison devotes a well-balanced chapter. It was one of the city’s most conspicuous buildings and the Serbs could certainly have flattened it if they wished to. They had a battery of mountain guns positioned on high ground near Pale, with the hotel clearly in its line of sight. The battery commander, Colonel Jovo Bartula, assured me he had no intention of firing on the city, and objected strongly to being called a war criminal in his own country. Morrison speculates, as we all did, that there may have been some secret and lucrative deal to save the hotel from destruction. Or maybe the presence of the foreign press, and sometimes the United Nations, conferred on it some kind of immunity. We certainly did not feel immune at the time: and one of the receptionists was badly wounded on open ground at the back. For me the book released a flood of memories. Of entering the hotel through a broken window, on the grounds that it was marginally less unsafe than the main entrance; of driving at tyre-burning speed into the underground car park, since the ramp was regularly under sniper fire; of John Burns of the New York Times, Kurt Schork of Reutersand Christiane Amanpour of CNN, leading lights of what we called the Sarajevo Survivors’ Club; of the comradeship of others who, in civilian life, I would have crossed the street to avoid; of the American network correspondent who, being averse to gunfire, stayed for weeks on end in the safety of his bunker in the hotel night club; and, at the other extreme, of the French radio reporter, Paul Marchand, who abseiled down the atrium for the hell of it, and drove around Sarajevo in a battered old car with a sign on the back window “Don’t shoot – I’m immortal!” Sadly he was not. He was wounded during the war and took his own life after it. Kenneth Morrison also describes, with sadness, the hotel’s post-war decline and fall. With the Dayton Agreement in 1995 and the onset of peace of a sort, the journalists left followed by many international workers. In 2014 it closed its doors for a while, having been caught up in a failed privatisation and an ownership dispute. It has since reopened, and has been brought back to life as the “Hotel Holiday”. More than twenty years on, his book is a fitting memorial to one of the greatest of war zone hotels.